I swear London is having a weather identity crisis this year. Today it feels like it's autumn and it was very windy. But last week it was perfectly heating and sunny, sunshine stayed until late in the evening. It was hot than usual Fairuz believe he's having migrain because of it. What a snob. He keeps having migrain one of these days I have to drag him to his GP. As usual we went out. Had an ice cream and stroll along the hyde park. We wouldn't want to miss the lovely weather. I mean we don't get it everyday let alone all year round. Being able to go outside and able to wear only a piece of a clothes is really a big deal here. I dare to say that weather is one of the main factor that influenced people ways of behaviour. 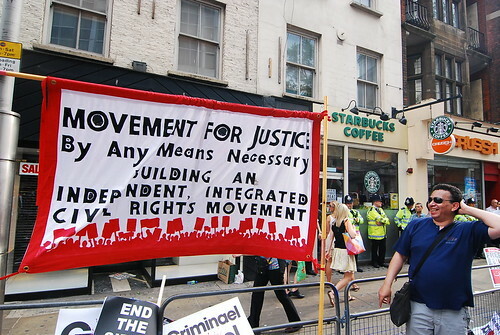 The same day we went and join the rally against Israel Flotilla attack. Well, we didn't actually rally but we did actually wait in front of the Israel embassy in Kensington. It was happening. There were circa 20 of thousands of people join in. There were a lot of police there. But instead of going against us, they were actually there to keep everyone safe. Starbuck just had to close and police just had to stand in front of it in fear that people will actually knock down the coffee shop. At the end of the rally and just in front of the Israel embassy there were microphones and speakers where all the British who's a victim on the Flotilla talks about their experiences and a few of other family who's family of the murdered Palestiniens. I was listening at the most attentive way. Ok maybe not. Those middle eastens in front of me can't stop quarreling with the police officer. It's annoying. But I sincerely hope David Cameron take note and really take actions. These people are amazing. They came from every sort of backgrounds and cultures and religions. 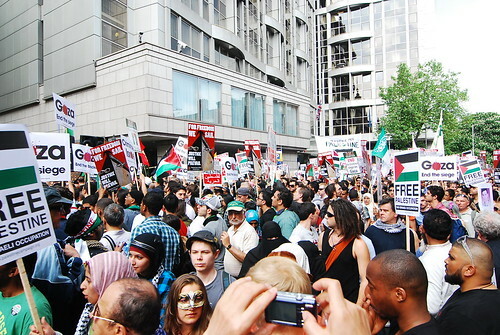 There's even Jew people supporting the freedom of Palestine. 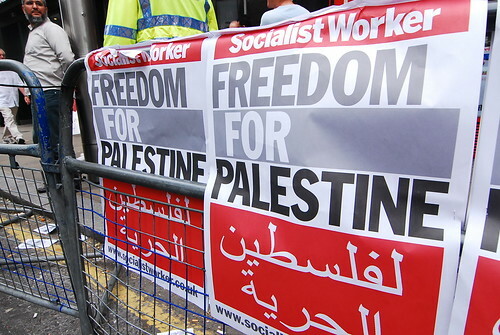 They gives their heart out in supporting Palestine. Some have families that's been murdered and some are aid volunteers who travel to lend a help to the war victim. They gave out brochures from every sorts of NGOs and organizations that support the freedom of Palestine. Everything goes really well. Everybody behave brilliantly and there wasn't any problem throughout the rally. Everyone gave their cooperations and no one was against it. It has been a brilliant day. Until I went home and got a really bit zit.